Montiff Gluca-Balance is a proprietary glycogenic amino acid blend created by the world's leading expert on amino acids. NOTE: Montiff amino acids are USP Pharmaceutical grade, crystalline singular L-form amino acids that require absolutely NO digestion. They are easily absorbed with absolutely NO effort by the body - so even people with very compromised digestive capacity will benefit. 700 mg total proprietary blend per capsule: L-Alanine, L-Lysine HCL, L-Leucine, Glycine, L-Valine, L-Isoleucine, L-Threonine, L-Glutamine, L-Arginine HCL, L-Histidine, L-Phenylalanine, L-Tyrosine, L-Methionine, L-Proline, plus precursor Ornithine-a-Ketoglutarate and the Di-peptides L-Alanyl-L-Glutamine and L-Glycyl-L-Glutamine. What Are Glycogenic Amino Acids? These are the amino acids that can be converted by the body into glucose to produce energy. The brain requires 125-150g or 75% of the available glucose in the body, for its energy source, to maintain normal brain metabolism. While many amino acids can be converted into glucose, Alanine and Glutamine are the primary glycogenic amino acids. Because amino acids are converted into glucose at different rates, a mixture of glycogenic amino acids permits the blood glucose levels to maintain over a longer period of time. Gluconeogenesis is the process of converting amino acids, lactate and glycerol into glucose for the brain. Mainly this occurs in the liver, although some gluconeogenesis also takes place in the kidneys. This is a biochemical condition in which individuals have been known to have low plasma glucose levels of only 50 mg./dl. Hypoglycemics, who are sensitive to carbohydrates, generally exhibit symptoms such are lethargy, hunger, tachycardia and sweating, 2-5 hours after a meal. Severe and chronic hypoglycemics may experience headaches, blurred vision, confusion and emotional or bizarre behavior. 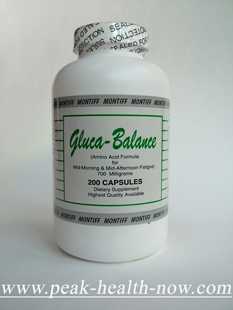 Since hypoglycemics have low blood sugar levels, Gluca-Balance glycogenic amino acid formula is recommended to help increase and regulate their blood glucose levels. • Stabilizing low blood glucose levels and helping to eliminate mid morning and mid afternoon fatigue. 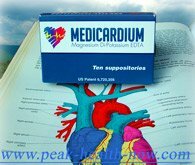 • Aids in mental alertness and memory function. • May be helpful in alcoholic management in conjunction with additional L-Glutamine. • Helping to eliminate the craving for sweets. 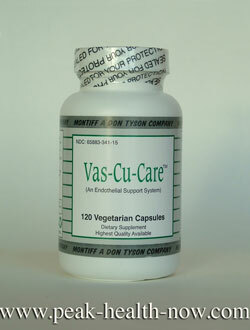 • For those whose plasma or urine profiles indicate an imbalance of these amino acids.